Recreational Program to help the children build strength, coordination, endurance and flexibility. The children will be making use of the conditioning corner in the back of the gym as well as conditioning on the floor at various times throughout the session. In addition, our warm ups have also been enhanced to include conditioning components tailored for each age group. Our staff has taken a workshop on how to implement and teach the proper techniques and skills needed to work with each child’s individual capabilities (both strength and weaknesses). 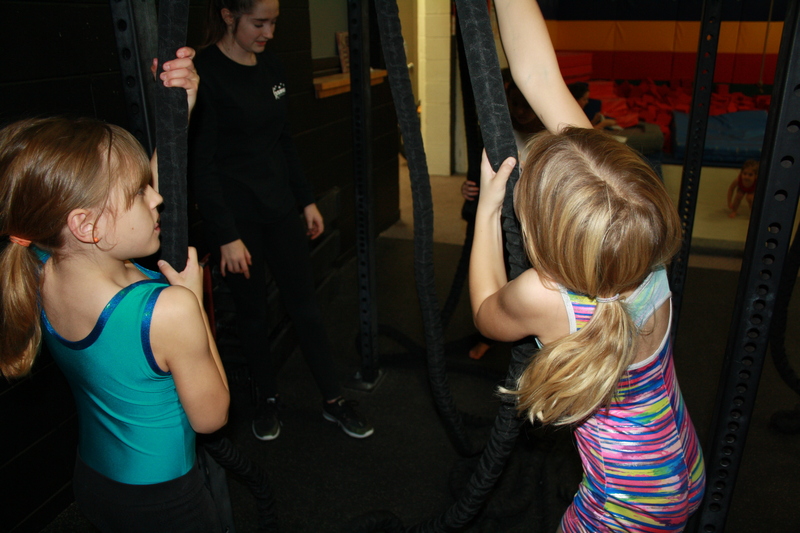 We will be working with your children to learn squats, push-ups, rings, rope climb and building strength. They will get to use ropes, rings, weights, balls, etc. For the Fall 2018 every child will start at our Orange Level (the foundational level). This is not a pass or fail component of program. been completed they will move to the next level so the athletes are always being challenged. We are excited about this new component and hope that your children will enjoy it.